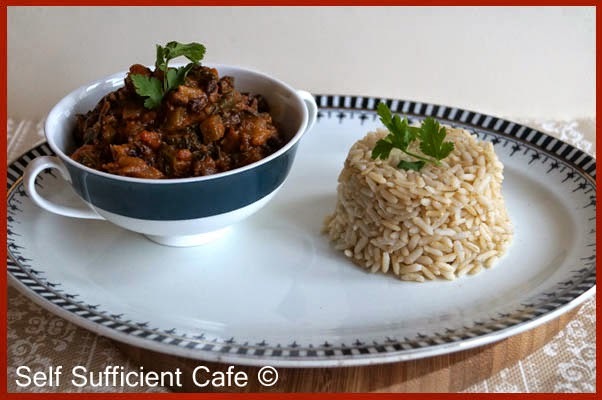 This recipe is great for a working day lunch, you can prepare it on a Sunday and box it up ready to grab on your way out the door on Monday. Too easy! Its great hot or cold so if you don't have a microwave at work its no problem. I also prepare a green salad and box that up too, both will last in the fridge for 3 days or more. 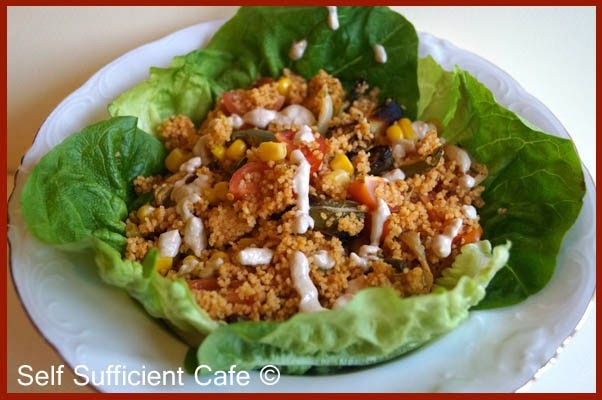 All you need to do at lunch is heat the couscous salad up (if you want) and serve with a green salad, sometimes I push the boat out and have a dollop of houmous too. I like to drizzle tahini sauce or a vegan mayonnaise & balsamic dressing on the top. Perfect! Add the onion, peppers and mushrooms to a roasting tin and spritz with a little oil. Add ½ a teaspoon of the paprika, garlic granules, cumin, chilli flakes and add the remainder of these herbs to a jug along with the coriander and turmeric. Stir the vegetables so that they are all coated with the spices and roast in a moderate heated oven for 15 minutes or until the vegetables are starting to char on the edges. Meanwhile add the tomato purée to the spices in the jug and fill with boiling water so you have 200ml of liquid. Stir so that everything is combined. Add the couscous to a glass bowl and add the spiced tomato purée liquid, give everything a quick stir and leave to stand for 5 minutes. 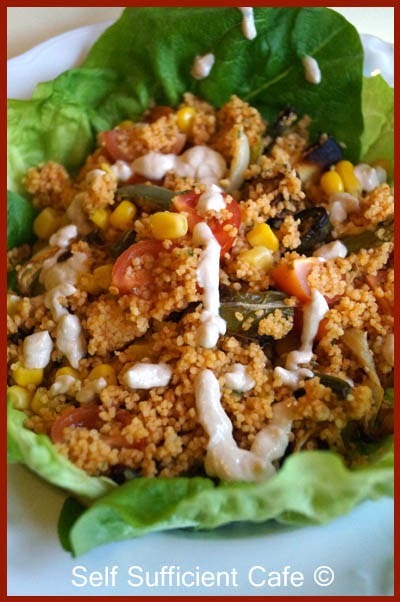 Fork the couscous to separate the grains and add to a large bowl. Add the cherry tomatoes and sweetcorn and mix so the sweetcorn is evenly distributed. 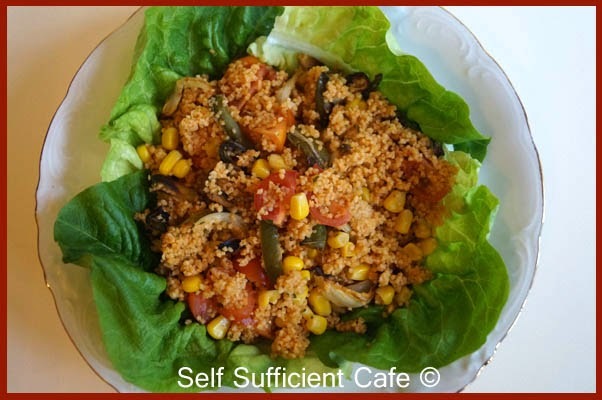 Once the vegetables have roasted add to the couscous mixture and give everything one last stir. Serve with salad leaves and a tahini dressing, houmous or vegan mayonnaise and balsamic dressing. 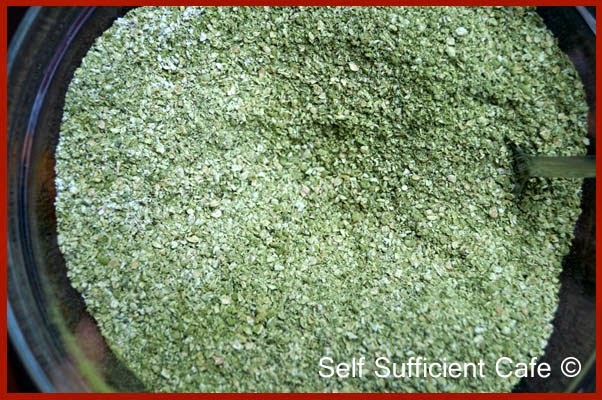 Do you remember my Organic Matcha Green Tea Powder Review a few weeks back? 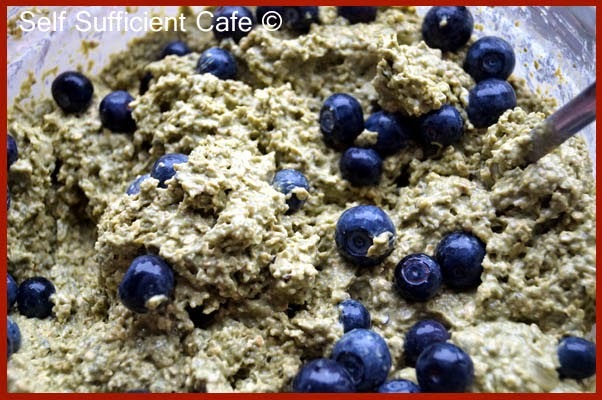 I shared with you two recipes; Matcha Fruit Shake and Matcha Green tea Loaf. I've been enjoying Matcha Fruit Shakes ever since! 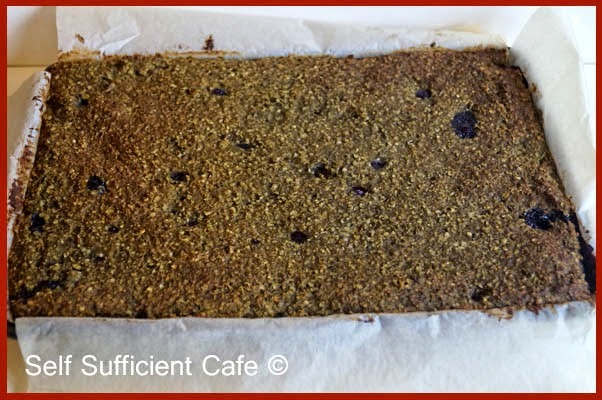 I also shared with you another recipe which used the organic matcha green tea powder; my Matcha and Blueberry Oat Bars, which I have also been enjoying, perhaps a little too much! 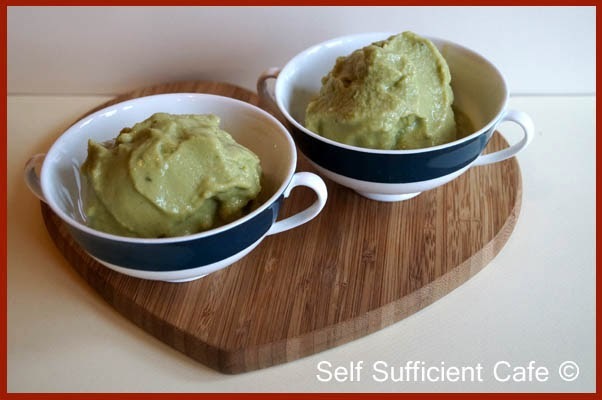 Today, I want to share with you my fourth recipe; Matcha Green Tea Ice Cream, which is very refreshing and a great ingredient to use in a smoothie! I've been making Matcha Green Tea ice cubes, which are great to add to drinks. 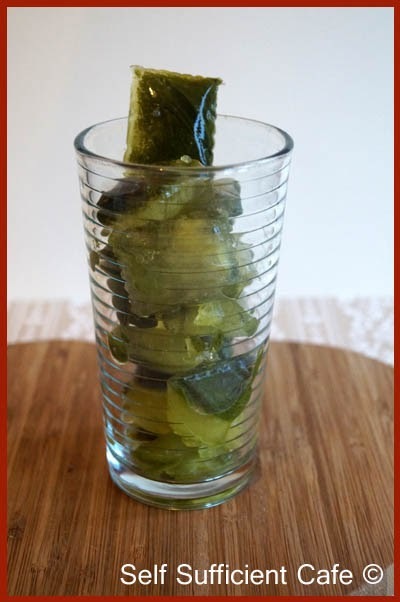 What about trying a few with your gin and tonic? I can't advise whether or not that works as I'm teetotal, but if you try it let me know what you think! You can make this ice cream using a powerful food mixer and you will have a dessert within seconds, great for impromptu dinner guests. I think you could make it the more traditional way too, although I've not tried this method, thanks to my Vitamix! Mix the Organic Matcha Green Tea Powder with the water until fully combined. Add the lemon juice and rind and stir. Pour into an ice cube tray(s) or ice cube bag(s) and place in the freezer. Once the ice cubes are frozen remove from the freezer and you're ready to make your ice cream. Add the lemon & lime yoghurt to your food processor, followed by the ice cubes. Process until the mixture becomes a soft whip ice cream. Please check your processor can handle ice cubes first! Any remaining ice cream, transfer to a freezer safe bowl and freeze. 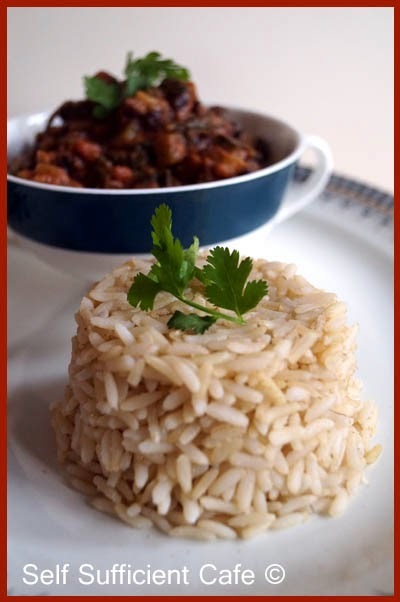 You may want to do this in smaller portions as it does freeze very hard. Quick tip: to double the amount of ice cream after freezing your first batch add a further 250ml of lemon and lime yoghurt, 1 Tsp organic matcha green tea power and frozen fruit (¼ pineapple and 1 banana) and blend again. Remember to break up your first batch of ice cream before adding to the blender. Back in February my friend and I visited Birmingham, we had a lovely day visiting the art gallery and the new library and wondering around the streets looking for something tasty to eat for lunch! Unfortunately we visited on Monday and the 100% Vegan shop and cafe next door was closed. I was so glad when we found Wagamama's as I knew they had vegan options (I'd already google searched for vegan food in Birmingham). AND they have GOOD vegan options! Wagamama's are a Japenese noodle bar and they have many restaurants all around the world. Believe it or not this was my first visit to Wagamama's and it was that good I went back 5 days later! On this occasion I treated myself to a yasai itame, which is a dish comprising of rice noodles in a spicy green coconut and lemongrass soup. The dish contains stir fried tofu along with a great selection of vegetables; chillies, beansprouts, red onions and spring onions, bok choi, peppers and mushrooms and is garnished with coriander and served with quarter of a lime to squeeze yourself. It was utterly delicious! We were little piglets because we also had a side dish of wok fried greens; tender stem broccoli and bok choi, stir fried in garlic and soy sauce. The dishes are all made on the premises and use fresh ingredients, as soon as a dish is made it is brought to your table. Sometimes you don't get all the dishes arriving at once but that just adds to the occasion! I know I am probably the last person in the world to have not visited this restaurant before now but just in case I'm not I had to tell you about it! What are you waiting for, book a table but please invite me! After a wonderful and relaxed lunch we decided to visit Wing Yip Chinese Supermarket. Again this was my first visit but I had heard of its amazing selection of Tofu so I just had to try it out. The supermarket is just over 2 miles from the city centre and we decided to walk there, so we could burn off some calories from our lunch. We had to get the bus back though thanks to the amount of food we bought! The supermarket was absolutely massive and held so many weird and wonderful food items. A word of caution, the weird was probably non vegan so I would advise that you don't look too closely in the freezer department. You've been warned! 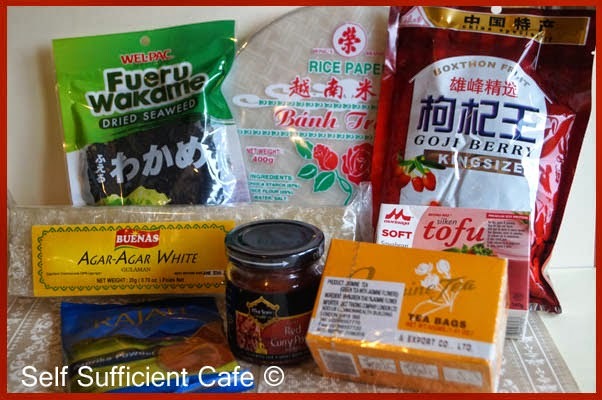 However, there were vegan food treasures to be found including a fantastic selection of tofu! From extra soft through to extra firm and even deep fried! Here's a selection of the food that I bought. My bargain of the day agar agar for under £1!!!!! I forgot to include all the tofu I bought in the photograph above and I've since eaten it all! As you know I love Tofu! Planning another visit to the Chinese supermarket for sure, evenif it is to stock up on tofu. Have you ever visited Wagamama's or a Chinese Supermarket? Let me know what your favourite dish is and where I can find other Chinese Supermarkets to try. On the bus home I was thinking of what I could cook up with my spinach bargain, the bus was cold tonight and I was craving some warmth, curry? chilli? fajitas? I settled with chilli and my mouth was watering thinking about it! I soon knocked this up when I got in and I savoured every mouthful, the chilli worked its magic and warmed me up from the inside out. Sauté the onion and green pepper in the olive oil for 5 minutes. Add the garlic and sauté for another minute, being careful not to let the garlic burn. Add the black beans and stir through. Add the smoked garlic powder, hot chilli powder and dried cumin and stir again. Sauté for another minute, stirring all the time. Add the spinach to the pan and stir through before adding the chopped tomatoes and stirring again. Leave to simmer for 8 minutes, stirring regularly to ensure the mixture doesn't stick to the bottom of the pan. Add the salt, balsamic vinegar and tomato purée and simmer for another 2 minutes. Sometime ago I got the chance to try two of the new, gorgeous smelling soaps from the Suma Soap range. There are twelve fragrances in total and I got to try the Patchouli & Hemp Soap and the Peppermint and Pine Soap. And the winner is...................................................Kasim Niaz! Congratulations! I hope you enjoy your prize. Thank you to all of you who entered; if you want to try the soaps for yourself you can buy them from Goodness Direct, if you haven't got a Suma account. They really are fabulous! The soaps are all hand crafted using the finest natural ingredients and pure essential oils. As you already now I'm a massive fan of aromatherapy and I am always using my essential oils at home and work so I couldn't wait to try the soaps. 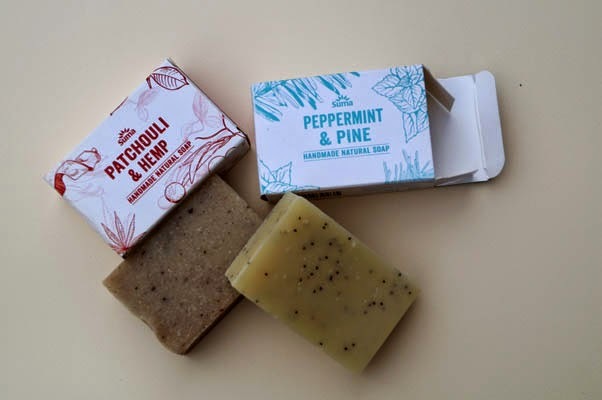 The soaps are even coloured by using herbs, spices, flowers and clays and some include that little bit extra - some strange but true exfoliates. Have you ever used a soap with poppy seeds in - I have, now! All soaps are free from parabens, SLS and palm oil and are kinder on the environment. All of the twelve soaps are registered with the vegan society and show the leaping bunny logo which means they are cruelty free products. They are also made in the UK, bonus! The smell of the Patchouli & Hemp Soap really transported me back to 'festival' days. 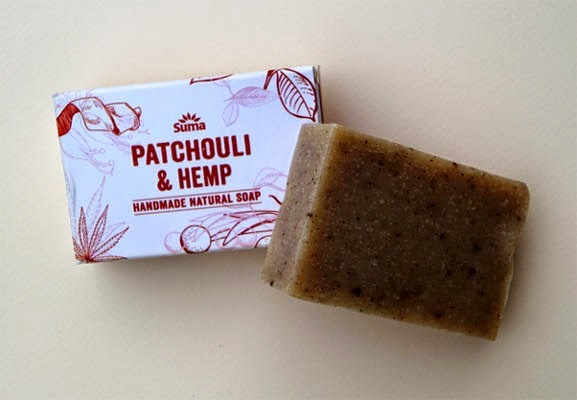 The smell of patchouli takes me back to the quirky shops of Glastonbury and brings back fond memories of walking around the magic and mystic surrounding the town. Its fragrance is musky, almost earthy but inviting and sensual. Patchouli essential oil is great for dry skin and is reported to help with skin blemishes or old scars as it promotes the growth of new skin. It is also said to help release tension and uplift ones mood. 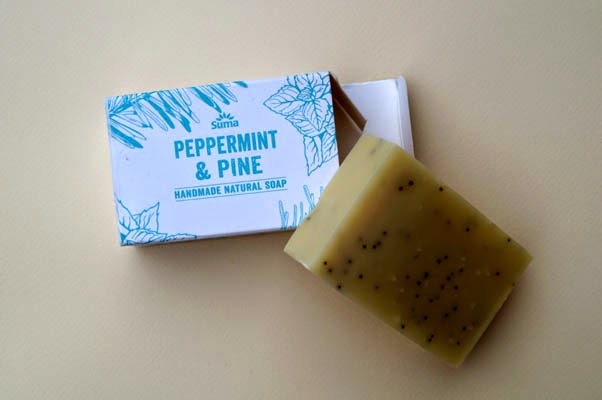 The smell of the Peppermint & Pine Soap is fresh and awakening, if your tired after a long day at work and have night out with the girls planned, but are feeling sluggish then this is the soap for you! It will refresh and boost your mood. Its also great to use first thing in the morning preparing you for the day at work ahead. The added poppy seeds are great for exfoliating your skin and give your skin that soft tingle after use. Peppermint essential oil is a great skin tonic and has cooling properties which can help with sore and itchy skin due to sunburn or a breakout of spots. Used sparingly it will relieve the itchiness and inflammation. Both soaps provide a rich and creamy lather that is soooo soft and their perfume permeates the air which is an added bonus. You can smell their fragrance for sometime after using and your skin feels soft to the touch. Exciting news! I have the whole range of twelve soaps to give away to one lucky reader! All you need to do to enter is use the Rafflecopter widget below, there are a number of ways to enter and the more entries you make the greater chance you have of winning! The competition ends midnight 19th March 2015 and I will announce the winner by 22nd March at the latest. Good luck! 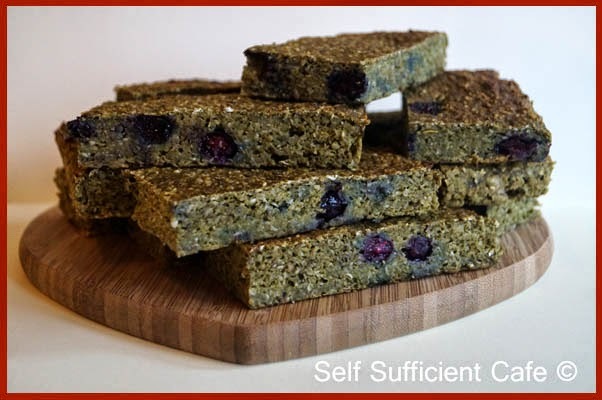 Two weeks ago I shared two recipes with you which used the Organic Matcha Green Tea Powder sent to me by Kiss Me Organics and I promised you another couple of recipes so here is the first; Matcha & Blueberry Oat Bars. 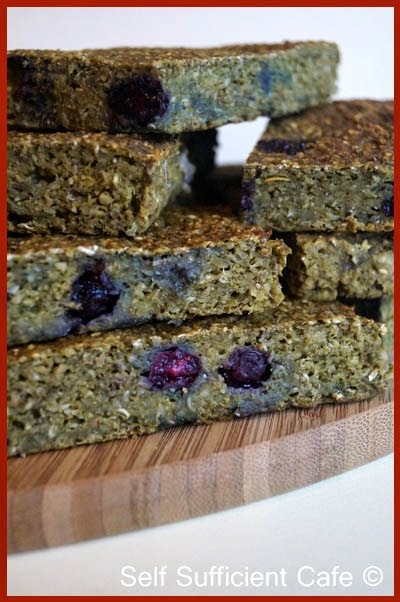 This recipe makes 16 Oat Bars which are great for breakfast on the go or a mid morning snack to keep you going. I'm in love with oat bars at the moment and because they freeze so well you can make a batch and freeze some to eat later, they're small enough to defrost quickly so you can take one out of the freezer before you leave for work and its ready to eat by the time you get there. If not, just gently warm in the microwave for a few seconds. 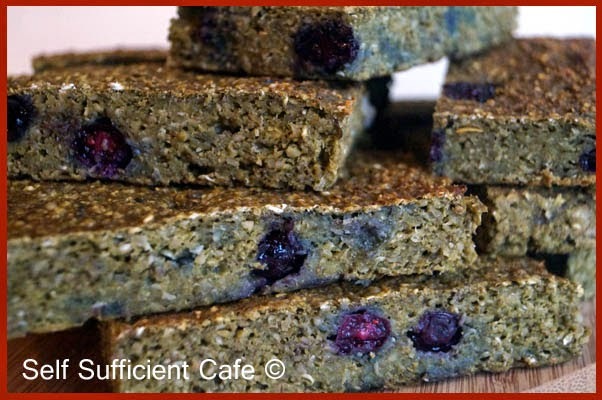 They are packed with other good for you ingredients too like hulled hemp seed, chia seed and of course matcha green tea and blueberries! Turn on your oven to a medium heat, around 180 - 190°C. Put the oats into a food processor and blend until you have oat flour, transfer to a large bowl. Add the hulled hemp seeds, chia seeds, matcha powder, baking powder and bicarbonate of soda and stir to combine everything. Slice the bananas into the food processor and add the yoghurt, blend until you have a thick cream. Add the silken tofu, agave nectar and the lemon juice and blend again. Pour the wet ingredients into the dry and stir to combine everything, the mixture will be fairly stiff. Add the blueberries and stir again to ensure they are evenly incorporated through the mixture. Pour into the lined baking tray and bake for 20 minutes or until you can press the tops gently and they give a little. Cool in the tin and then tip onto a board and peel off the greaseproof paper. Cut into squares, eat some and freeze some, easy! Hands up who loves tofu? Me, me, me! I love it, in fact I will never tire of tofu! Its so versatile, I use it to make both savoury and sweet treats; mousse, cake frostings, cakes, oat bars, and for savoury everything from stir-fries, crumbled to add texture or just grilled. Check out my recipe page for more tofu recipes and I've even added a tofu board to my pinterest if you're looking for tofu inspiration. I fancied a comforting dish for dinner tonight, so before I went to work I took out a block of tofu from my freezer, knowing that when I got home it would have defrosted and I could magic the block into a comforting dish for dinner. What's better than a mash potato topped pie for comfort food? 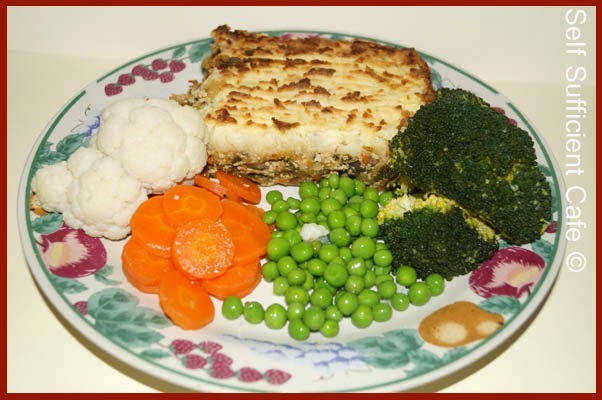 This is my take on a cottage pie without harming any cows. I call it tofu thatched pie due to the fact that the bottom layer of the pie is tofu based and the top layer of mash potato is ridged, well that's my reasoning and I'm sticking to it. First boil your potatoes until cooked, drain and leave to steam in the pan to remove excess moisture. Add a splash of almond milk and a knob of vitalite, salt and pepper to taste and mash. Put to one side why you make the pie filling. While the potatoes are cooking, add the Worcestershire sauce and mushroom ketchup to a bowl and stir in the thyme, cumin and garlic powder. Add the crumbled tofu and mix so the tofu soaks up the liquid and is evenly distributed. Set to one side to marinate. If you have a food processor, use it for speed unless you are extremely fast at chopping. A food processor makes light of all that chopping. Add the onion and celery to the food processor and pulse until finely chopped. Add to a pan with olive oil and sauté for 5 minutes, whilst this is cooking use the food processor to chop the red pepper, carrot and parsnip. Add to the onion mixture and sauté for another 5 minutes. Add the kale to the food processor and pulse until chopped. Note: I removed all the thick stems before I weighed the kale. Add the kale to the pan with the soy sauce and give everything good stir, if the vegetables are sticking add a splash of water too. Add the mushrooms, and stir through and sauté for another 2 minutes. Transfer the marinated tofu to the pan and stir to combine. Next add the gravy granules to the mixture and stir to combine thoroughly. Pour in the vegetable stock and stir through. Simmer for 5-10 minutes or until you have a loose mixture, but not too runny. Spray an oven proof dish lightly with oil and add the tofu mixture. 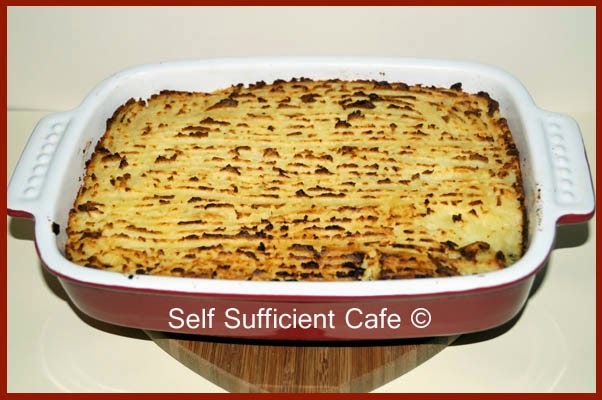 Top with the mashed potato and using a fork draw ridges in the potato topping. 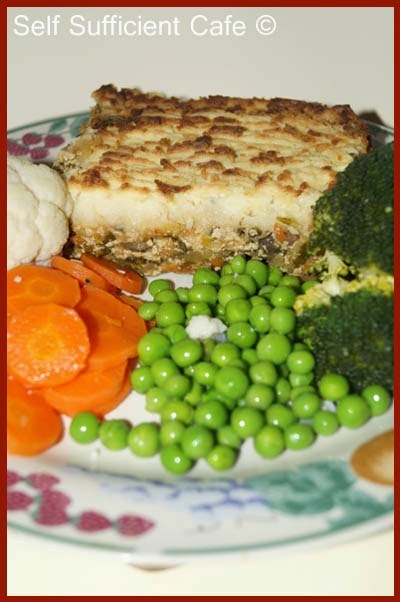 Bake in a moderate oven for 30 minutes or until the mash potato has browned. 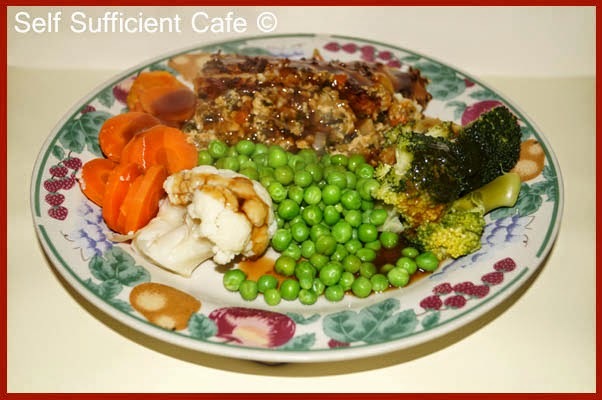 Serve with vegetables and onion gravy. Have you heard of the Vegan Lifestyle Association? If so, then you already know that it's a fantastic organisation and your vegan friend for life! If you haven't heard of this fabulous organisation then let me tell you a little bit about it. 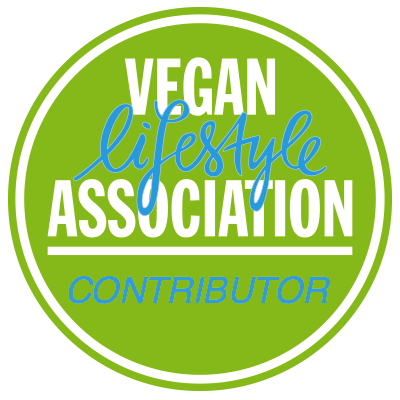 The Vegan Lifestyle Association (VLA) was founded by Chantal, who transferred to a vegan lifestyle early in 2013 and I have the honour of calling her my friend. As you all know I too transferred from a vegetarian to a vegan lifestyle on 1st January 2013, and I've not looked back since and I never will. 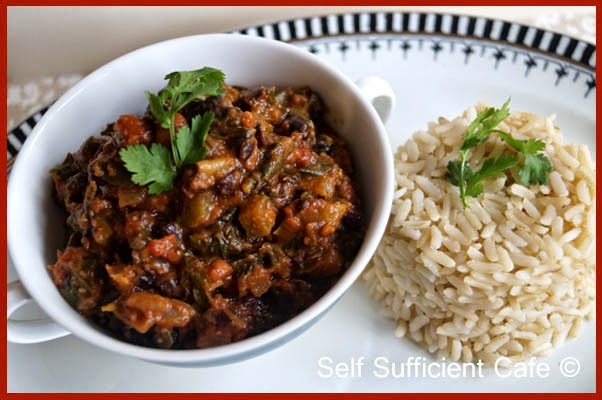 The Vegan Lifestyle Association is an absolutely fabulous, new and exciting organisation which promotes the many benefits of living a full vegan lifestyle and will help and support everyone who wants to try it. Their mission is to save lives and our planet and their vision is to inspire, inform and enable. Go check out the website for inspiration, information and a whole heap more. The Vegan Lifestyle Association is a not-for-profit organisation and anyone can join from anywhere in the world. Its completely free to join as an associate member and any donations received are put towards campaigning, outreach work and publicity for veganism. As an associate member you have access to member benefits including discounts on 100's of vegan foods, products and services.You'll also receive a monthly newsletter full of vegan news and features and chances to win fantastic prizes. 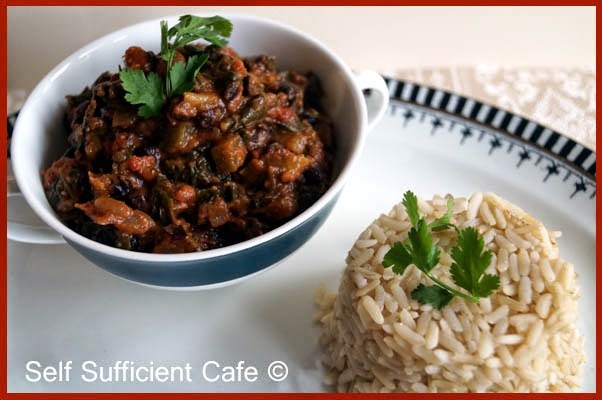 I am a Vegan Lifestyle Association Contributor, and you will find many of my recipes on their site. I also write an article called "Diggin' it" for their monthly magazine. The first issue of their magazine "VEGAN24" is now available to associates and I talk about preparing for Christmas! Yes Christmas! Now is the time to sow your parsnip seeds and the article tells you how and my top tips for a good crop. One very cold Saturday in February I helped Chantal and Dave alongside Sian (another contributor and vegan blogger) on a stall to help with the launch of the VLA. Between us we managed to sign up over 100 new associates. So what are you waiting for? Head over there right now and sign up, it's free!